The British Safety Council and Quensh Specialists Ltd signed a partnership agreement in Aberdeen, Scotland, on Thursday, 18 February 2016. This followed a successful half-day conference jointly hosted by the two organisations focusing on the challenges facing businesses, particularly in relation to such topics as health at work and competence. 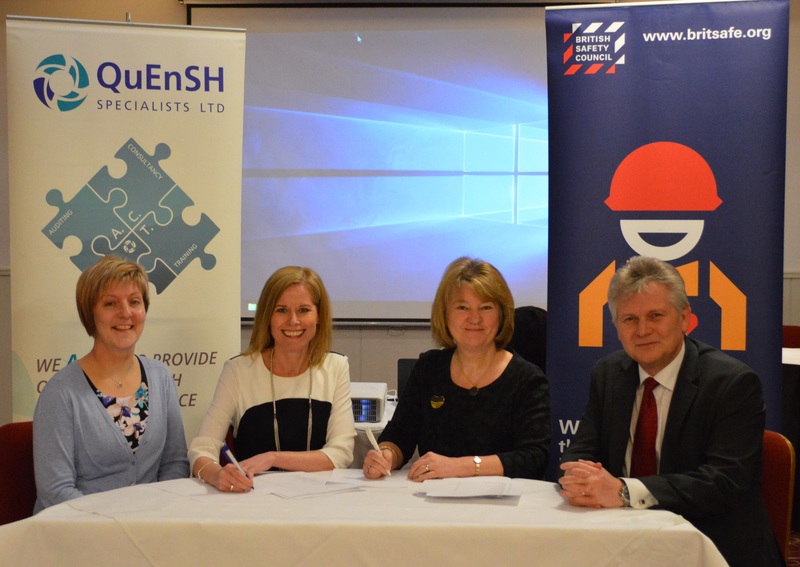 Tracie Watson, Managing Director of Quensh Specialists Ltd, said: “Quensh is thrilled to have signed a partnership agreement with the British Safety Council. As the preferred supplier in Scotland we will now have the exclusive licence to conduct health and safety audits for businesses within Aberdeenshire.